KINOTAKARA is regarded as the health care therapy of the new millennium. It is formulated from six main ingredients, namely Wood Vinegar, Tourmaline, Pearl Powder, Pure Silica, Chitosan, and Dextrin. After 26 years of study and hundreds of experiments, medical researcher discovered that the wood vinegar in Oak trees, Sakura trees and Beech trees possesses detoxifying functions. Using the advanced technology, this discovery led to the formulation of Kinotakara, the processed wood vinegar and natural resource extracts made into packets. Kinotakara is best placed under one’s sole as it is the part of the body where more than 60 acupuncture points can be found, out of over 360 distributed over the human body. It is very effective, easy to use and is specially formulated to help you achieve better health. Imagine getting the boost of energy that coffee and energy beverages give you without the jitters too much caffeine can leave you with. Red Maca Coffee is a nutritional beverage made from the finest coffee bean, maca powder from Peru and high nutritional red beet powder especially blended to give you an authentic cup of smooth and creamy coffee. 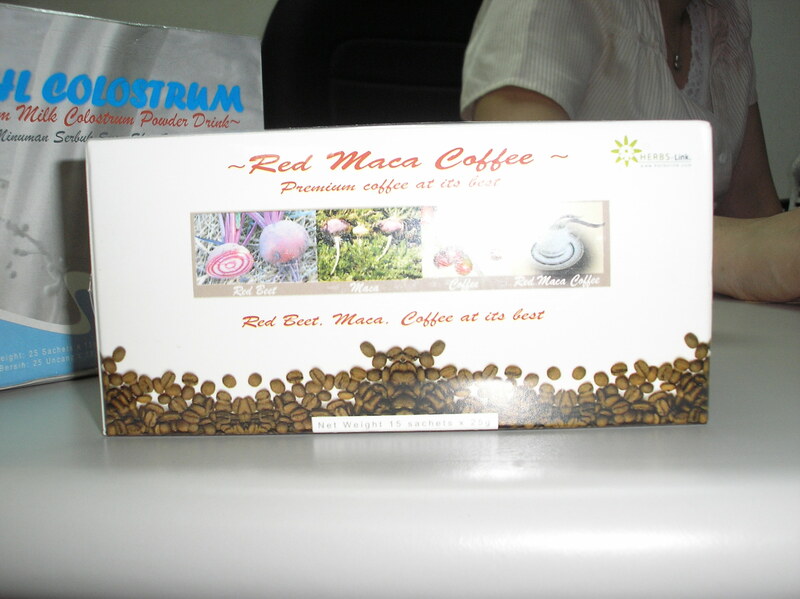 Most importantly, Red Maca Coffee tastes great and is good for your health!!! The products described is intended solely as food supplements to enhance general health, and is not intended to diagnose, treat, cure, or prevent any disease. Nothing listed here should be considered as medical advice for dealing with a given problem. You should consult your health care professional for individual guidance for specific health problems.